CardMonkey's Paper Jungle: Happy 13th Birthday M&DD's Emily - Blog Hop! Hi everyone!! Thank you for joining us today as we celebrate the birthday of the daughter of my friend, Beth McGee. 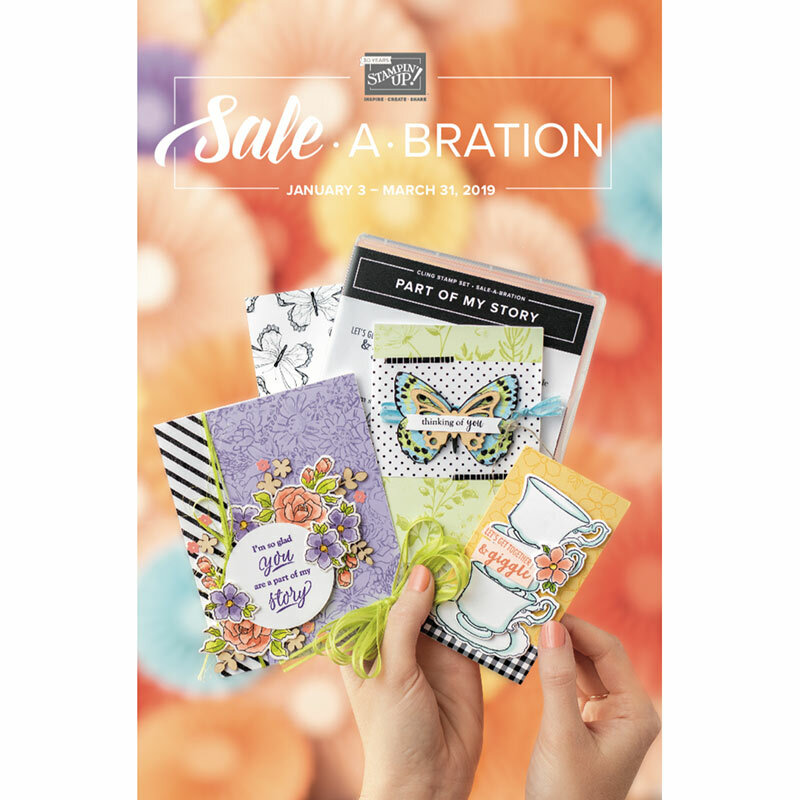 Beth's daughter, Emily, is the other half of Mother and Daughter Designs. I "met" the precious duo when they started making banners for special needs children. 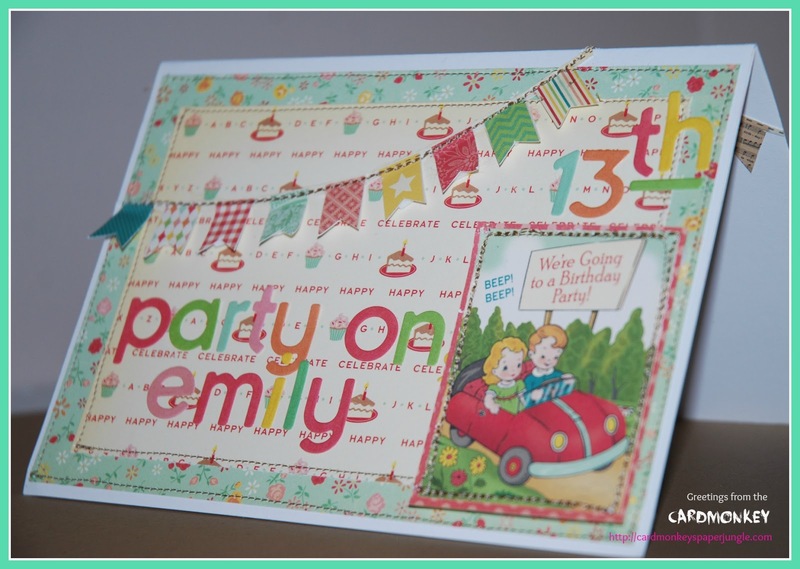 Emily's turning 13 today, and so friends of Mother and Daughter Designs have gathered here to celebrate the life of a sweet, talented young lady. "Cakewalk" collection by October Afternoon. 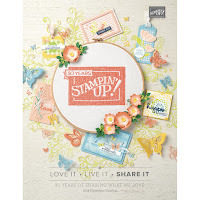 Digital copy of "Creations by Crafty Card Gallery Issue 2" ~ Sponsored by Jennifer Restivo. .... and Happy 13th Birthday, Emily! Ellen: What a fun card, I love the papers you used! Her brother will try to tell her he is the one driving her to celebrate, lol (he's getting ready to get his permit). 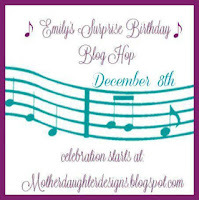 Thank you so much for celebrating with us & participating in Emily's BD blog hop. What a great card for Emily's 13th Birthday! I'm sure she will party on! Oh Ellen - this card ROCKS!!! I love the bright colors you used and the mini banner is adorable!!! Love being in another blog hop with you!! Super cute! Love the banner on the card! This is adorable. Love the papers and the boy and girl in the car, super cute! I love all the paper colors you used. What a perfect card. Love the banners and all the detail. Thanks for sharing! I love the paper you used for this card!! It is adorable and I love how you added the banner and 13th to the card. It is super cute and perfect for her. 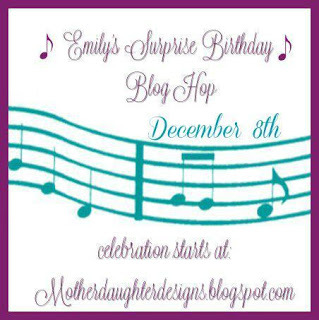 Thank you so much for being a part of this fun hop with us and helping to make Emily's birthday a special one!! love your card Ellen! Great job! Adorable card! Love all the bright colors! Ellen your card is so pretty! It just screams PARTY!